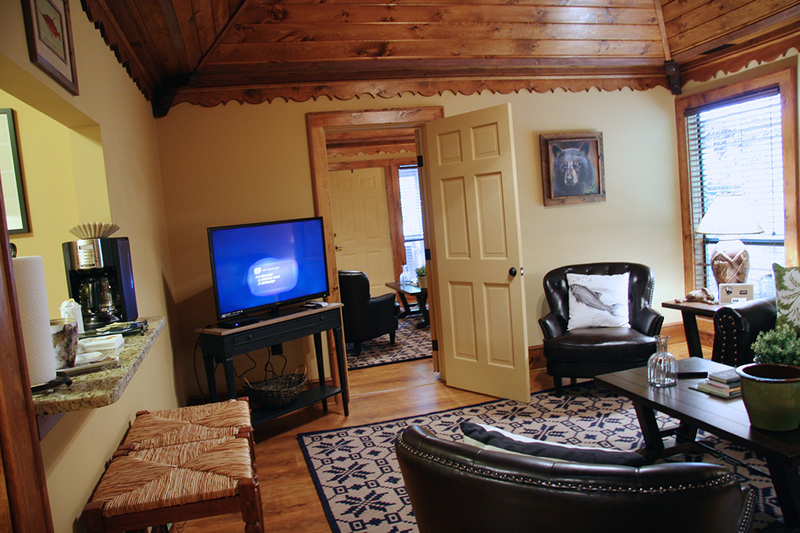 The Dogwood Suite is pet friendly. 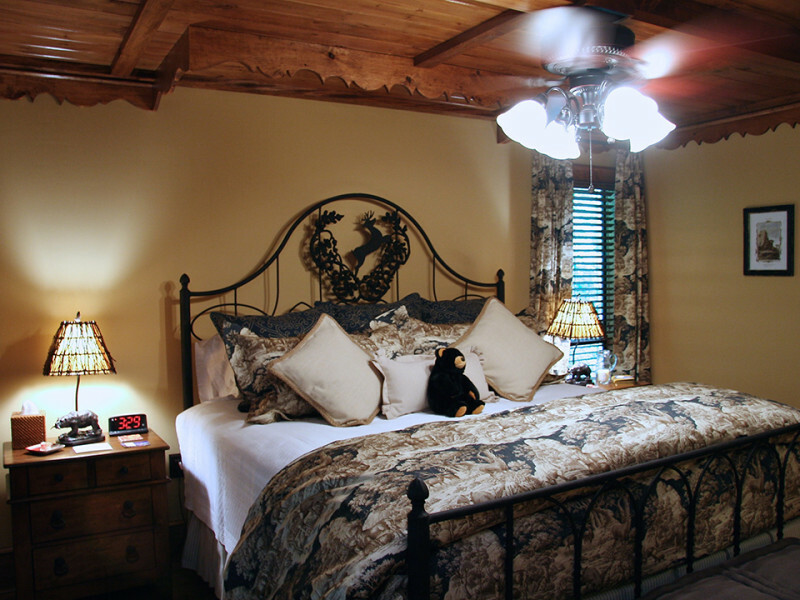 This suite adjoins with Lady Slipper and can be rented together or separately. 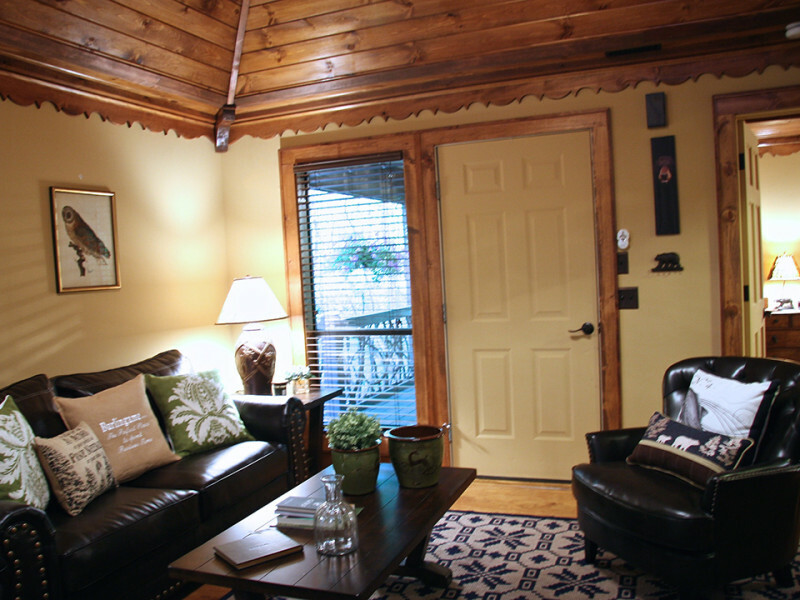 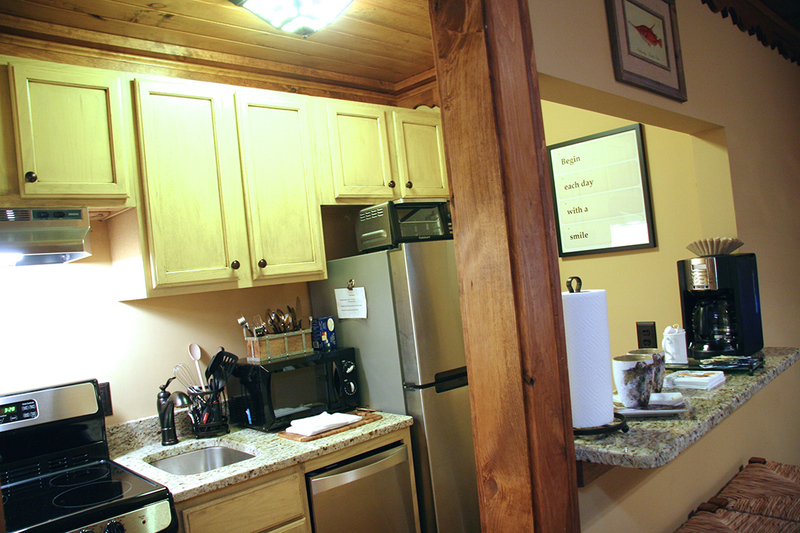 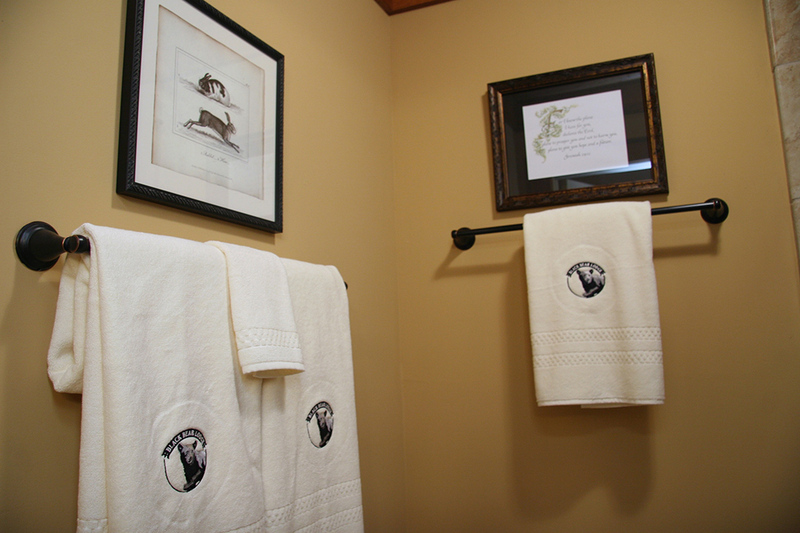 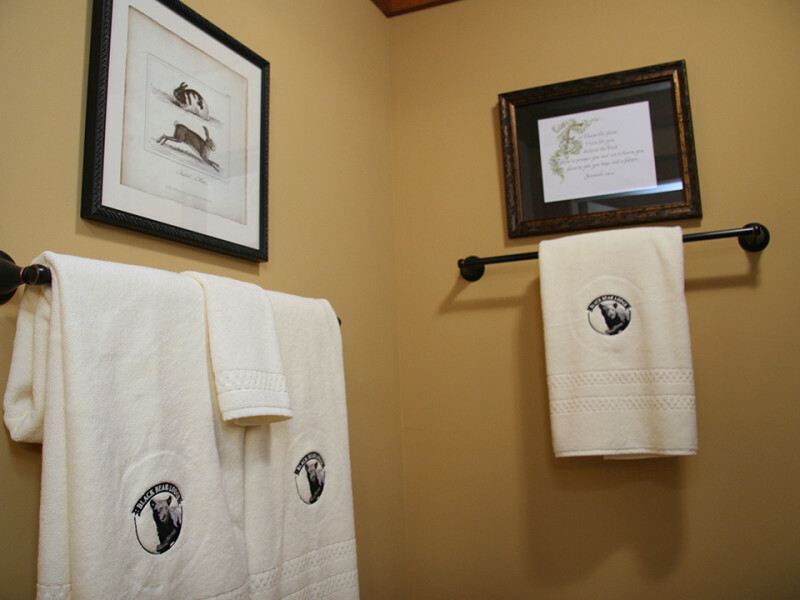 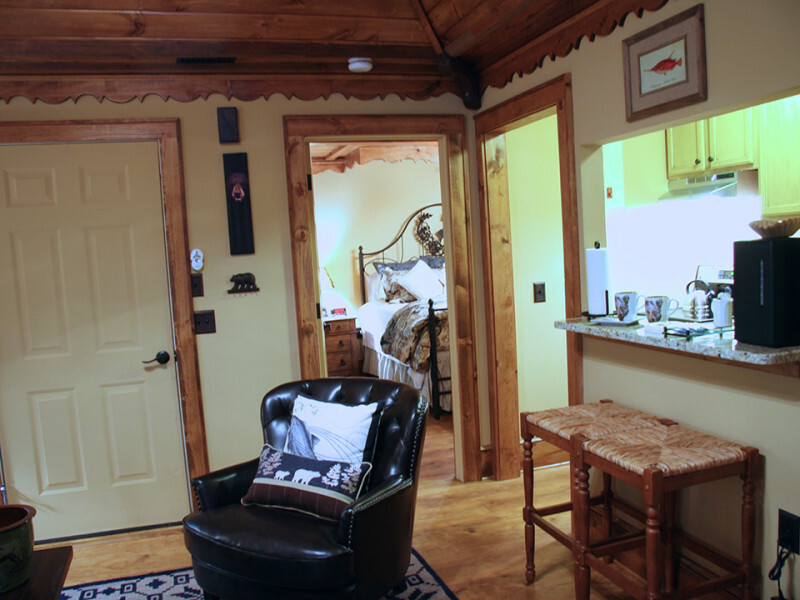 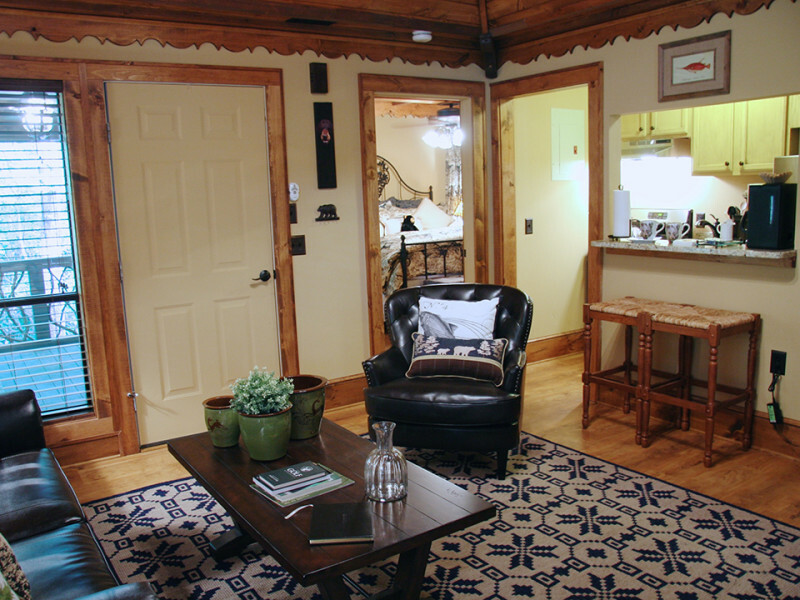 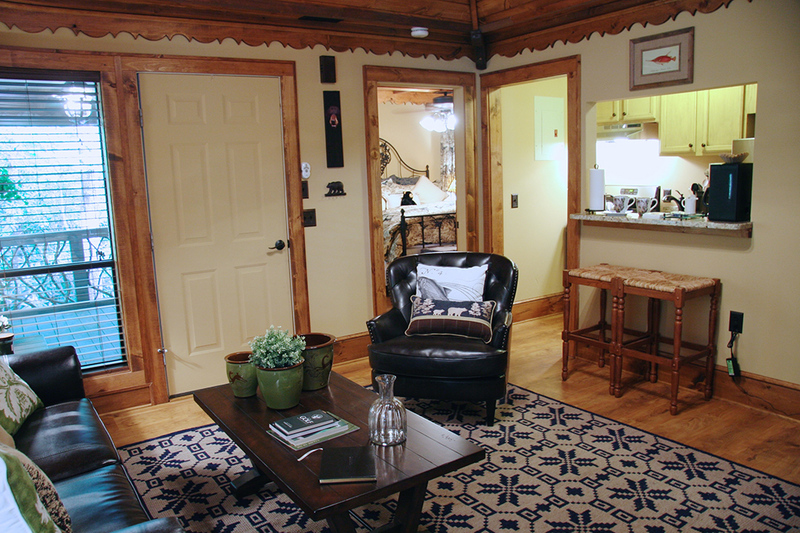 Located on the back side of The Lodge, Dogwood offers privacy and woodsy surroundings. 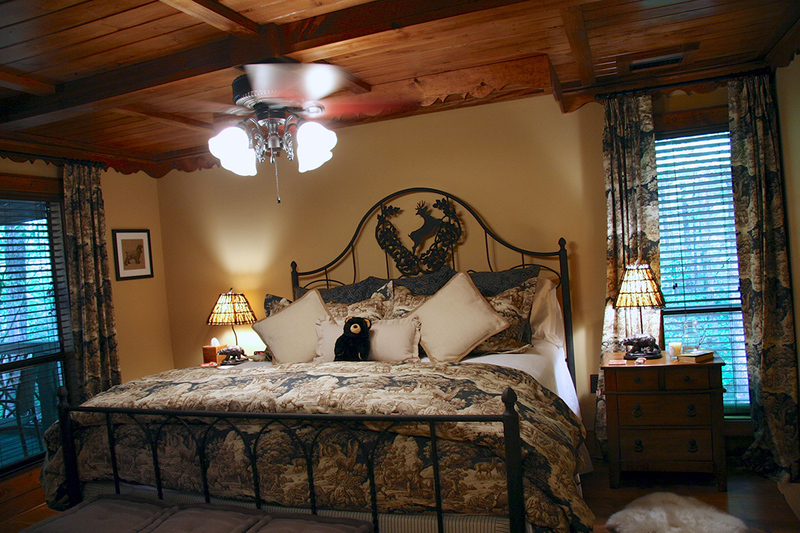 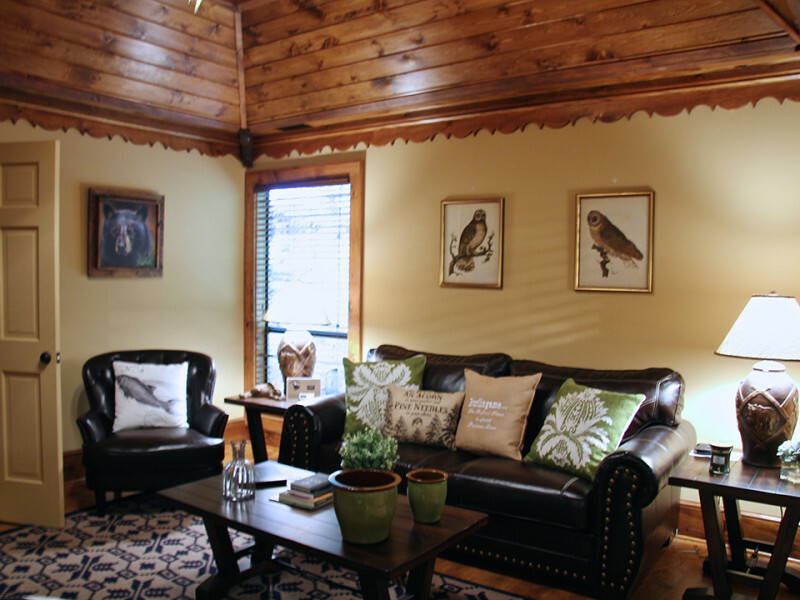 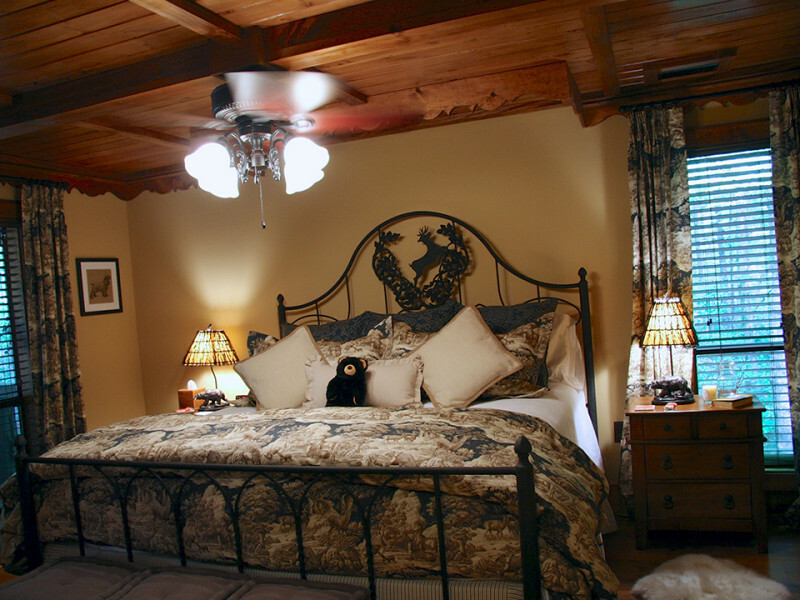 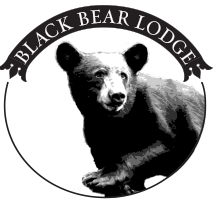 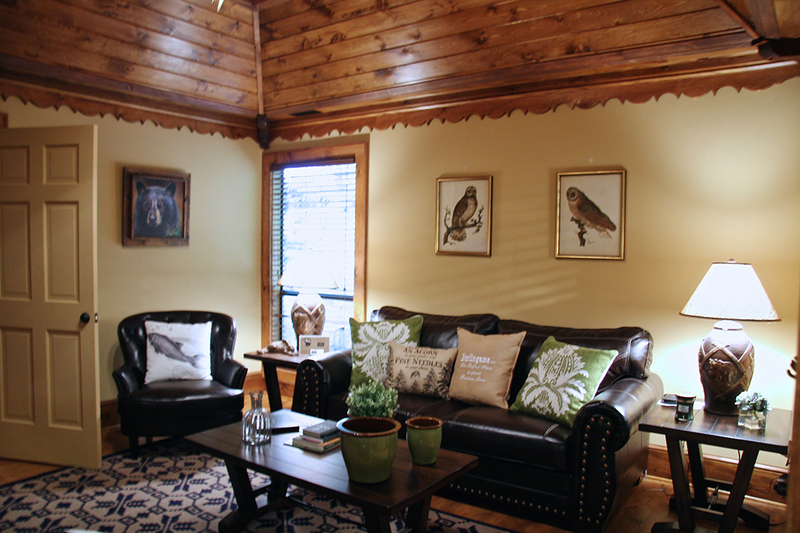 The bear themed living room has comfortable leather easy chairs and a sleeper sofa, flat screened TV and wifi. 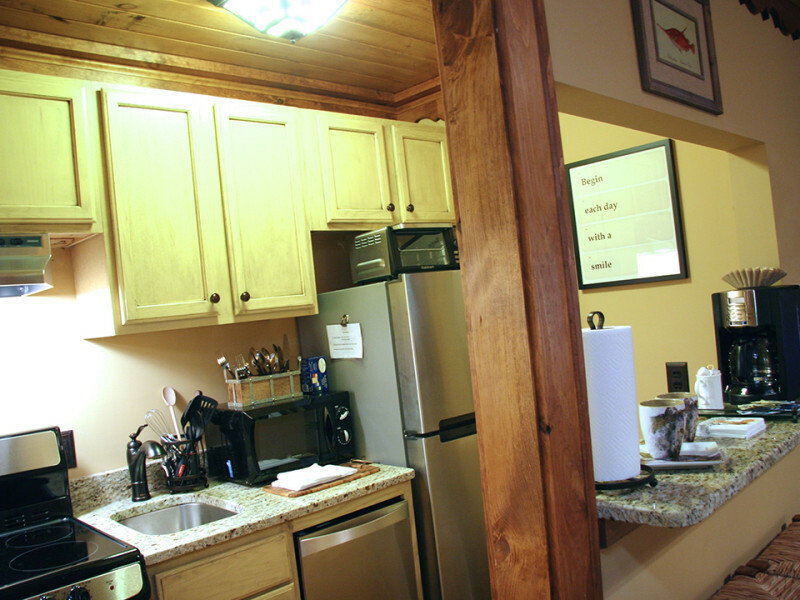 The kitchen is complete with refrigerator/freezer, oven/stove, microwave, toaster, oven, coffee pot and all utensils for cooking and eating. 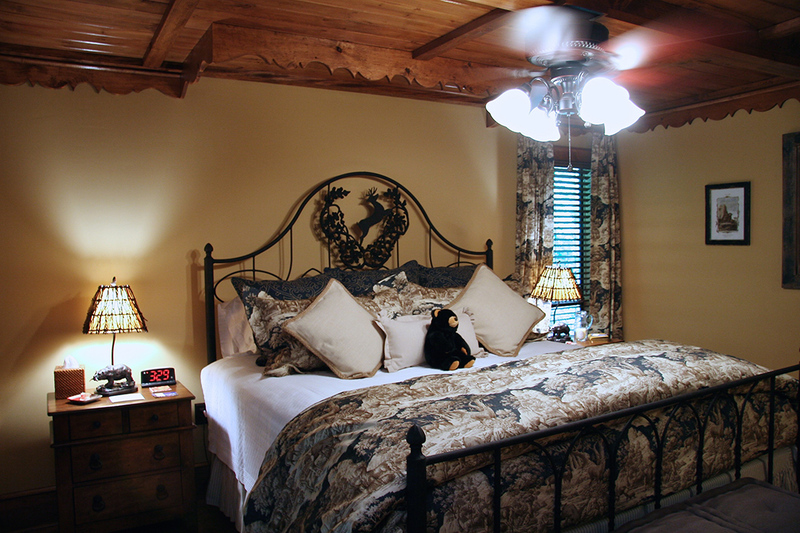 The bedroom has a king sized wrought iron bed with fine linens, pillow topped mattress and soft throw rugs. 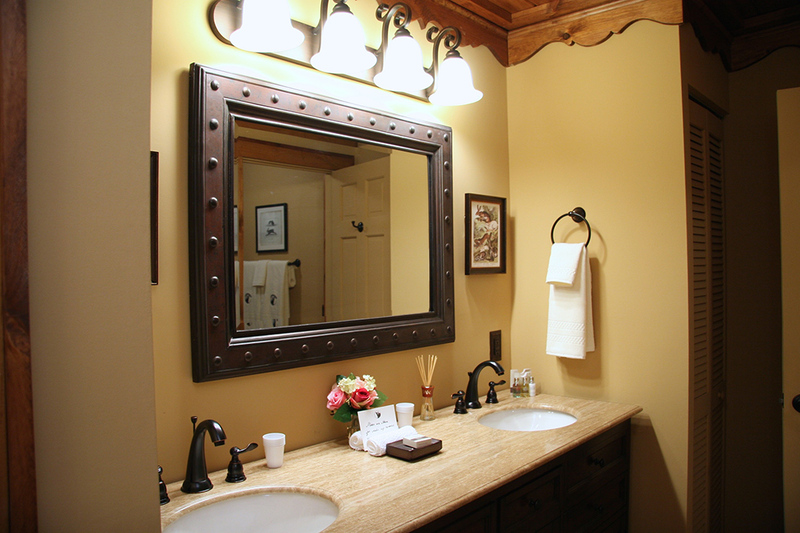 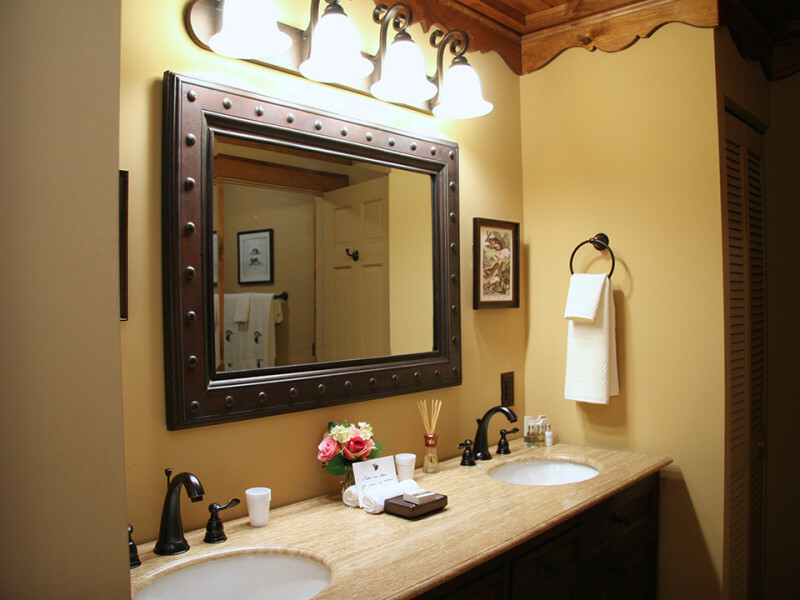 There is a full bath with shower/tub and a separate double vanity. 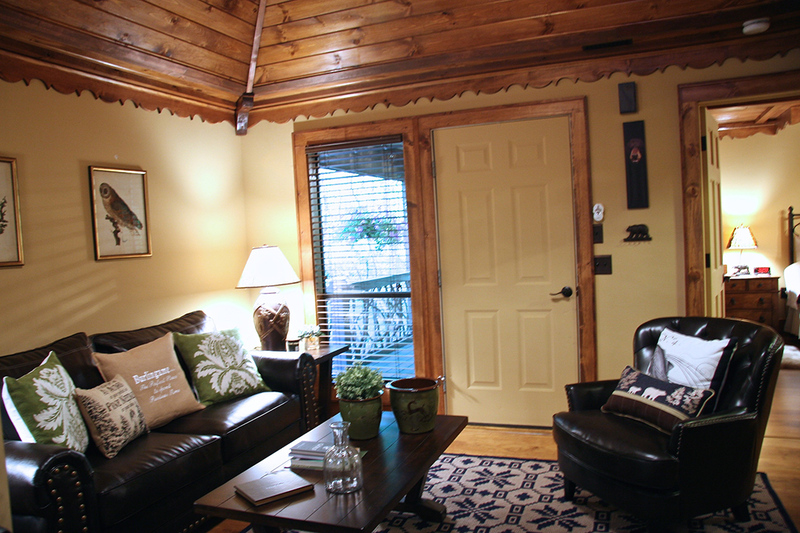 The covered porch is perfect for outdoor dining or evening coffee. 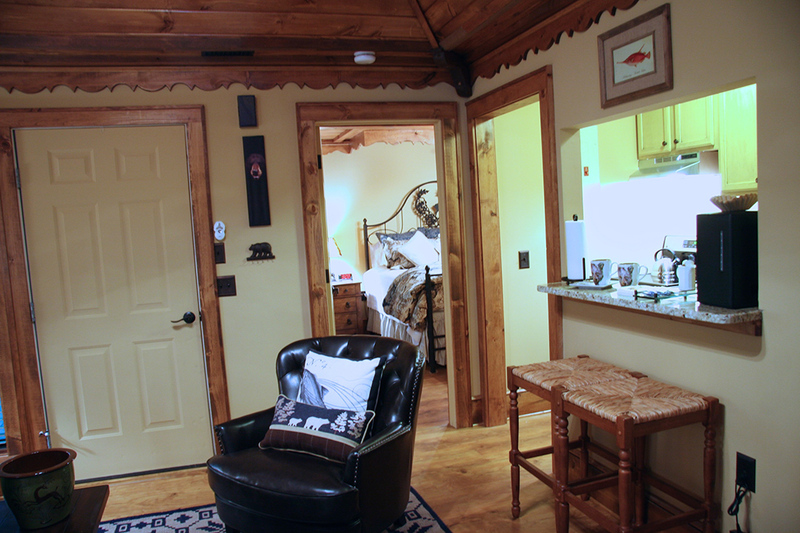 Come take in the mountain air! 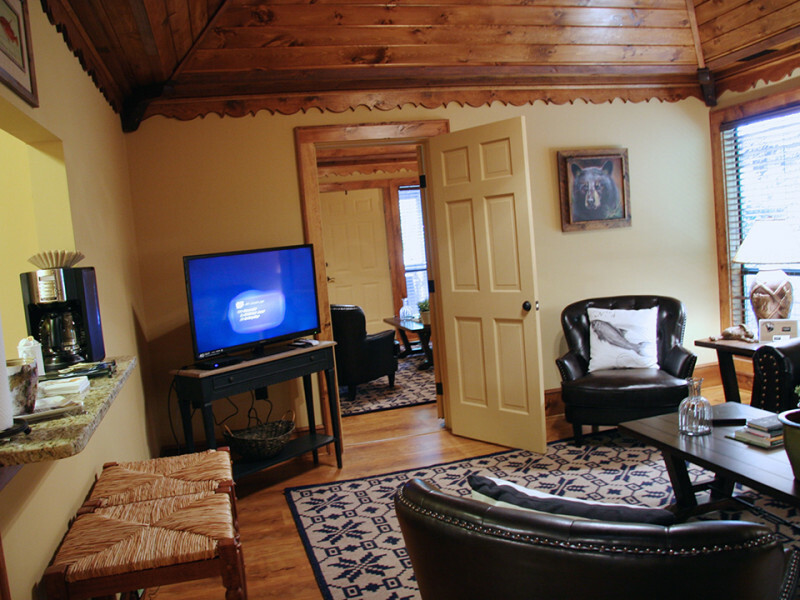 This is a non Smoking room.